Sometimes there are good points about living in a small town in the middle of nowhere. One of them being CHARITY SHOPS!! I love them, my town is full of them. Currently we have Oxfam, British Heart Foundation, PDSA, EACH, British Red Cross and Sue Ryder. Plenty to keep me busy. I love nothing more than taking a stroll around to see if I can find any gems. 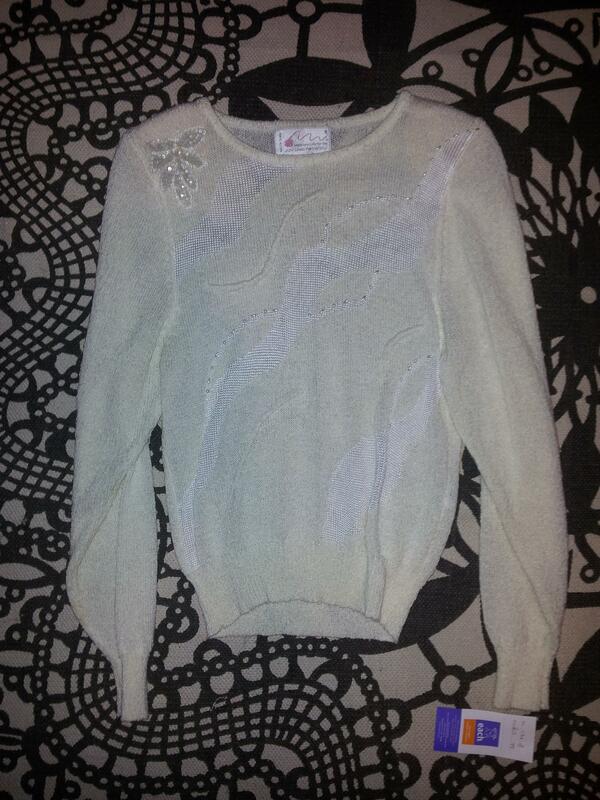 Vintage lemon yellow jumper with bead detail. 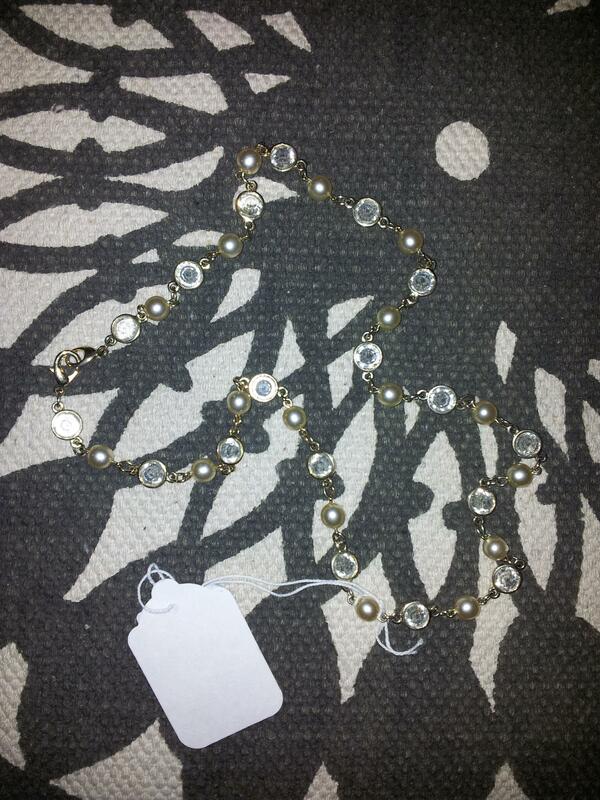 Vintage gold tone necklace with pearls and clear stones. 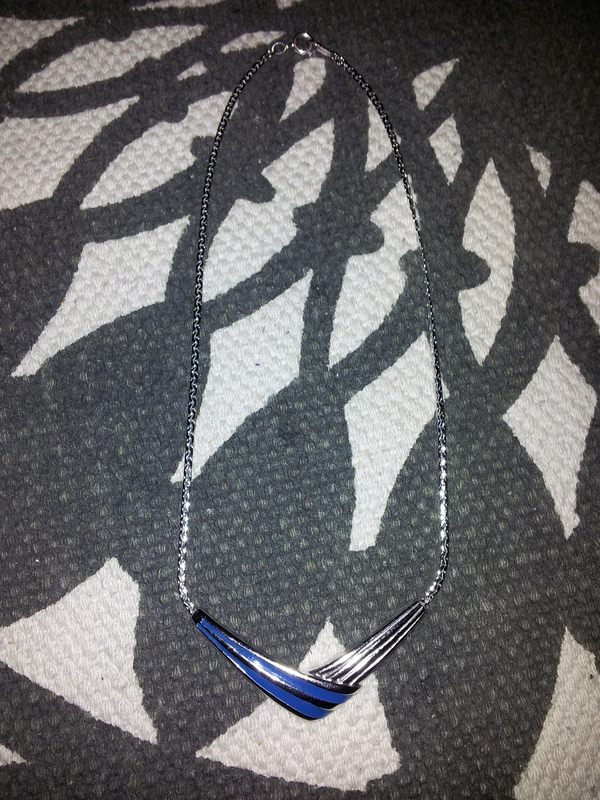 Vintage silvertone necklace with blue enamel detail. Next Post I’ve Reached 50 Followers! 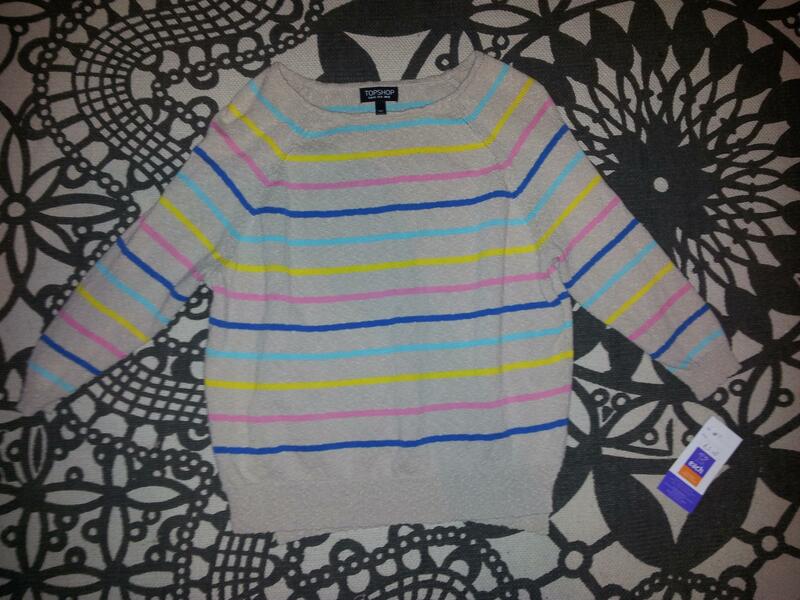 I am in love with that vintage yellow sweater. Such a sucker for some beading! The only thing I ever find in charity shops is books! And then I just give them back once I’ve read them, so they go on sale again haha.